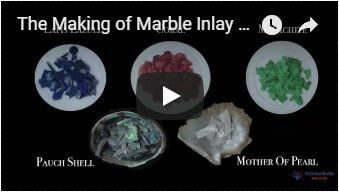 The semiprecious stones used to inlay in White Marble Candlestick Holders are Mother of Pearl and Abalone shell. The white marble inlay pen holder is translucent with the light. The White Marble Candlestick Holders is made in Agra India & fully handmade.